This article is about the men's tournament. For information about the women's tournament, see 1991 Women's Rugby World Cup. 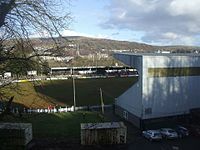 The 1991 Rugby World Cup was the second edition of the Rugby World Cup, and was jointly hosted by England, Scotland, Wales, Ireland and France: at the time, the five European countries who participated in the Five Nations Championship. 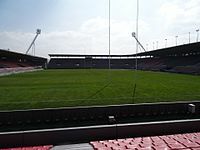 This was the first Rugby World Cup to be staged in the northern hemisphere, with England the hosts of the championship game. 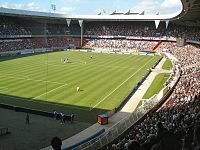 Following on from the success of the inaugural 1987 Rugby World Cup, the 1991 World Cup received increased attention and was seen as a major global sporting event for the first time. Also for the first time, qualifying competitions were introduced as the number of entrants had increased from 16 nations four years before to a total of 33 countries. The eight quarter-finalists from 1987 qualified automatically with the remaining eight spots contested through qualifiers by 25 countries. This however resulted in only one new side qualifying for the tournament, Western Samoa replacing Tonga. The same 16-team pool/knock-out format was used with just minor changes to the points system. The Pool stage of the tournament was nothing like four years earlier, with fewer one-sided matches. 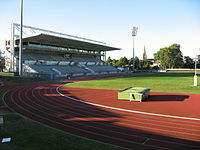 These early stages produced a major shock when Western Samoa, who were making their debut in the tournament, defeated 1987 semi-finalist Wales 16–13 in Cardiff. Along with the other results in the group, this led to the elimination of Wales, who finished third in Pool 3. This was the first time that a host nation was knocked out of the competition in the pool stages. Also notable in pool play was that Canada finished second in their pool to qualify for the quarter-finals which remains their best performance in the Rugby World Cup. Fiji, as quarter-finalists four years ago, had expected to occupy that position, but after the upset loss to Canada and a hammering by France, they were to lose even their final match against the unfancied Romanian team. Earlier, the opening match had pitted the holders New Zealand against the hosts England: New Zealand overturned a narrow half-time deficit to win the match and the pool, both teams qualifying for the quarter-finals with easy victories in their other matches. Scotland beat Ireland to top their pool, again both teams qualifying. In the quarter-finals, neither Canada nor Western Samoa proved a match for New Zealand or Scotland, respectively. Meanwhile, England knocked out 1987 finalist France in a bruising encounter. Australia, in what was seen as the match of the tournament, pipped Ireland 19–18 in a thrilling match at Lansdowne Road, with a last-gasp try from fly-half Michael Lynagh coming after the Irish took an unexpected 18–15 lead when loose-forward Hamilton outpaced winger David Campese over half the length of the pitch for a try. 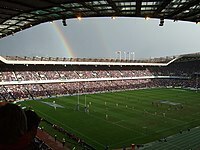 The semi-finals produced two tight matches: England overcame their Scottish rivals 9–6, a late drop goal deciding a tryless match in a torrential downpour at Murrayfield Stadium, and Australia defeated the defending world champions New Zealand 16–6 at Lansdowne Road. The World Cup Final was played at Twickenham Stadium in London, and saw Australia triumph 12–6 against England, thanks to a first-half try from prop Tony Daly. The following 16 teams, shown by region, qualified for the 1991 Rugby World Cup. Of the 16 teams, eight of those places were automatically filled by quarter-finalists from the 1987 World Cup and did not have to play any qualification matches. 25 nations competed in a qualification process designed to fill the remaining eight spots, bringing the total participation to 33 nations. In the event, there was only one change from the 1987 tournament, with Western Samoa appearing in place of Tonga. As in the 1987 Rugby World Cup the 16 nations were divided into four pools of four nations, with each nation playing their other pool opponents once, every nation playing three times during the pool stages. Nations were awarded 2 points for a win, 1 for a draw and zero for a loss, the top two nations of every pool advanced to the quarter finals. The runners-up of each pool faced the winners of a different pool in the quarter finals. The winners moved on to the semi finals, with the winners then moving onto the final, and the losers of the semi finals contesting a third/fourth place play off. A total of 32 matches (24 in the pool stage and eight in the knock-out stage) were played throughout the tournament over 30 days from Thursday 3 October 1991 to Saturday 2 November 1991. 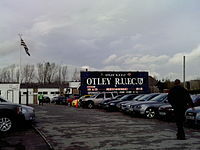 The event was broadcast in the United Kingdom by ITV who took over the rights from the BBC. This page was last edited on 31 December 2018, at 09:06 (UTC).